Arachidonic acid is an omega-6 fatty acid that is present in the phospholipids (especially phosphatidylethanolamine, phosphatidylcholine and phosphatidylinositides) of membranes of the body's cells, and is abundant in the brain. It is the counterpart to the saturated arachidic acid found in peanut oil. 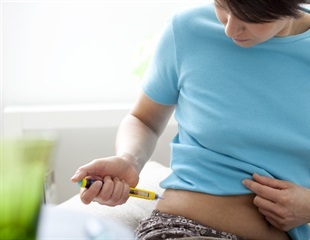 Scientists from the Diabetes Research Institute at the University of Miami Miller School of Medicine today announced the launch of a new clinical trial that will assess the impact of high-dose omega-3 fatty acids and vitamin D supplementation on halting the progression of type 1 diabetes. There's more than one type of fat cell. Besides the white fat that stores triglycerides in lipid droplets in preparation for lean times later, mammals also have heat-generating brown fat, which acts more like a radiator than a storage closet. Now there is hope of a new way to protect extremely premature babies from impaired vision or blindness resulting from the eye disease retinopathy of prematurity. Aggressive cancers like glioblastoma and metastatic breast cancer have in common a siren call that beckons the bone marrow to send along whatever the tumors need to survive and thrive. New research from Karolinska Institutet in Sweden reveals that high levels of polyunsaturated fatty acids in children's blood are associated with a reduced risk of asthma or rhinitis at the age of 16 years. The study is published in The Journal of Allergy and Clinical Immunology. A team of LSU Health New Orleans scientists discovered that a component of fish oil not only protects cells critical to vision from potentially lethal initial insults, but also from those that occur in the future. It's a metabolite found in essentially all our cells that, like so many things, cancer overexpresses. Now scientists have shown that when they inhibit 20-HETE, it reduces both the size of a breast cancer tumor and its ability to spread to the lungs. A research project conducted at the University of São Paulo in Brazil in collaboration with other Brazilian research institutions and abroad has revealed new aspects of the action mechanism of organic hydroperoxide resistance (Ohr) enzyme, which enables several species of bacteria to neutralize oxidizing substances released by the defense system of the host organism, be it a plant or an animal. Women who consume high amounts of certain fatty acids are at an increased risk of developing type 2 diabetes, irrespective of body mass index (BMI), according to a new study. Regular consumption of seafood and plant-based omega-3 polyunsaturated fatty acids could help lower the risk of fatal coronary heart disease, confirm findings from a pooled analysis of 19 studies. In Europe, almost one in three schoolchildren under the age of ten is overweight, if not obese. In the search for the cause of this phenomenon, fetal programming inside a mother's womb was put under scrutiny as a potential culprit for this "heavy issue". A new study from the University of Eastern Finland shows that high serum omega-6 polyunsaturated fatty acid concentrations are linked to a significantly reduced risk of type 2 diabetes. The findings were published in the American Journal of Clinical Nutrition. Abide Therapeutics, a developer of innovative pharmaceuticals, announced today initiation of enrollment and dosing of the first subject in a Phase 1a clinical study of ABX-1431, a first-in-class, investigational endocannabinoid system modulator. Laurent Pharmaceuticals Inc. announced today positive topline results from a Phase 1b clinical trial with LAU-7b in adult CF patients. LAU-7b is a novel oral formulation of fenretinide, a synthetic retinoid investigated for its lipid modulating properties and potential to address the aberrant inflammatory response in CF. Infant rhesus monkeys receiving different diets early in life develop distinct immune systems that persist months after weaning, a study by researchers from UC Davis, the California National Primate Research Center (CNPRC) at UC Davis and UC San Francisco have shown. A randomised placebo-controlled study by the University of Oxford suggests that higher levels of omega-3 DHA, the group of long-chain fatty acids found in algae and seafood, are associated with better sleep. A study published in the current issue of Psychotherapy and Psychosomatics has examined the correlation between polyunsaturated fatty acids in the blood and the risk of post-traumatic stress disorder.